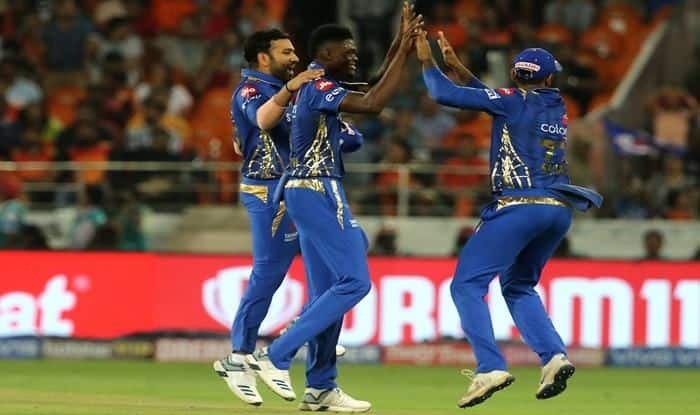 Dream debut for young Alzarri Joseph as he now has the best bowling figures of 6/12 in the history of cash-rich Indian Premier League. Playing in place of veteran ace Lasith Malinga, who returned to home (Sri Lanka) to complete his national duties – the 22-year-old Joseph knocked the life out of Hyderabad batsmen with his searing pace, daunting line & length, and nonchalant attitude. His wickets tally includes names like David Warner, Vijay Shankar, Deepak Hooda. Rashid Khan. Bhuvneshwar Kumar and Sid Kaul. The Antiguan pacer also has gone a step ahead of Andrew Tye to register best bowling figures on IPL debut. In February this year Alzarri Joseph played the Antigua Test despite death of his mother. Took two crucial wickets At 22, he showed tremendous courage. @mipaltan are lucky to have him. Took 6/12 and showed promise. Speaking at the post-match conference after winning the ‘Man of the Match’ award, Joseph said – “It is a dream. I could not have asked for a better start. I just backed my plans and it worked. My plan was to keep it simple and back myself. I know we had a game to win and I was focused on that (on why he didn’t celebrate Warner’s wicket). The boys are playing well and putting in a lot of hard work. The coaches are also helping us with their inputs”.